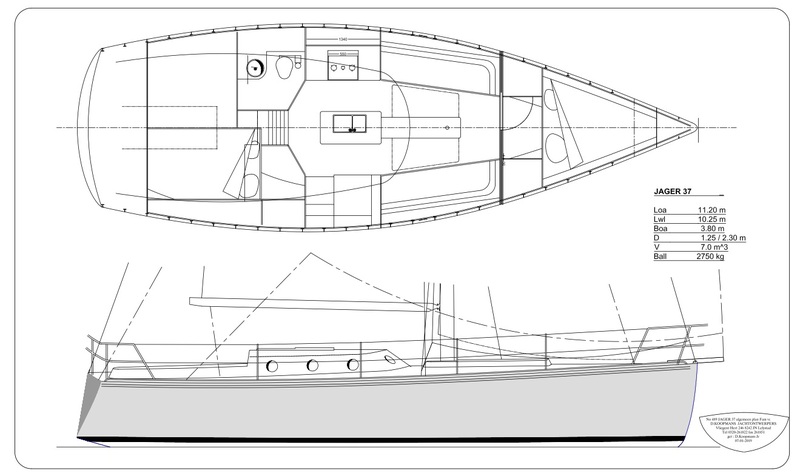 After “Blikvis” an enlarged JAGER 35 there will be a version with standard keel. The interior is changed a little to accommodate the wishes of the owner. The owner will make the interior himself. I printed the 1:1 plot of chart table and galley so he can start building. The aluminium hull will be built at Koopmans Kasko’s in Sneek. The start is scheduled in September. 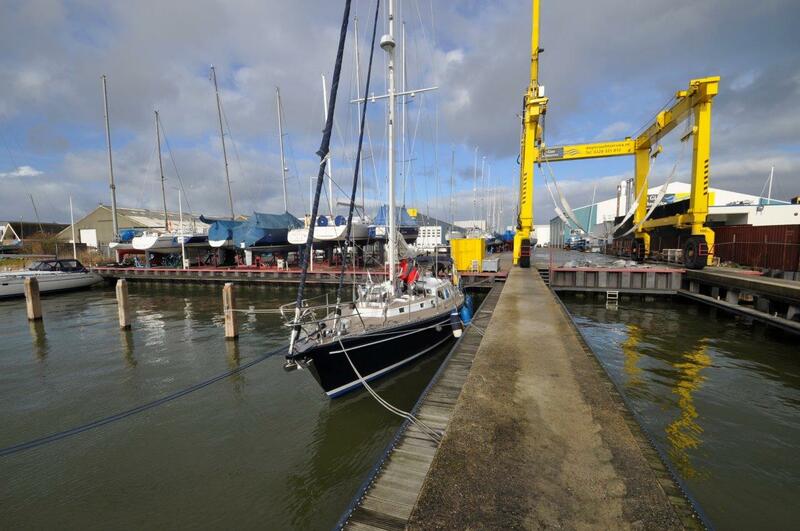 The Concord 47 DS has had a major refit at De Gier in Enkhuizen. She will be shipped to South Africa soon. I adviced about the refit and measured the actual weight and stability. She will sail some races so I also applied for an ORC certificate. Last year I sent some prints and advice to the new owners of a Stenvis. 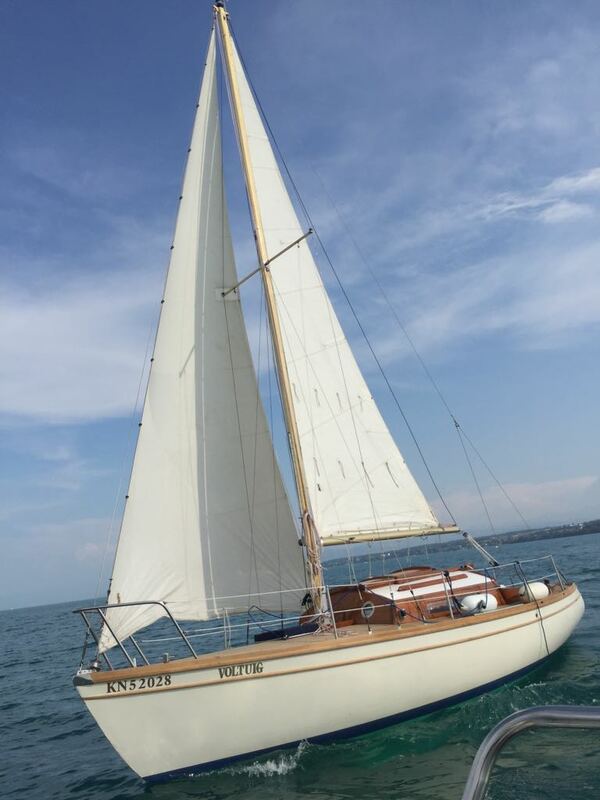 Designed and built in the sixties, she is still in good shape. It is nice to see some old boats back now and then. She is now based on the Bodensee. Conditions are generally light so we are looking at options for more sail area. The 4 persons rowing boat is under construction at Koopmans Kasko’s in Sneek. The cutting files for the 1 or 2 person version are also ready. I visited the yard with Mark Slats and Susie Goodall. I tried to convince Susie that she could cross The Atlantic Ocean in a rowing boat but she thinks it is a long way to row! I did some calculations for the Corby 36 "Ondeugd". We changed the bulb by planing of over 600 kg. The bulb was extremely long on the forward side of the keel and the boat was trimmed forward and difficult to steer. It was done a long time ago to get her in the right racing class. Now we hope both steering and surfing will improve. Another keel project is the "Zilvermeeuw" designed by J. de Ridder. The second hand hull is at Shipcenter Lelystad. 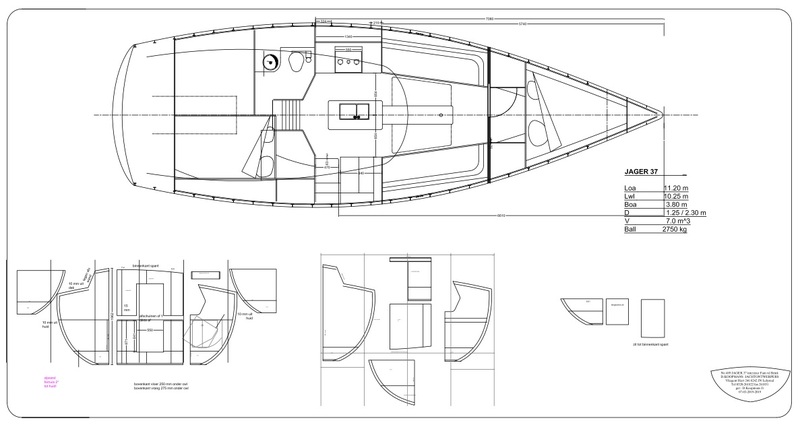 We will put a 15% heavier keel from the VQ32 under her and reduce the draft to 2.1 m.